Keybase is a very handy way to verify identities. I wanted to use my Keybase key locally with GPG so that I could encrypt and sign things (specifically I was packaging a Sandstorm app). You may wish to securely delete the private key file now to ensure it doesn’t fall into the wrong hands. 4: (Optional) Make the Keybase key your default key. 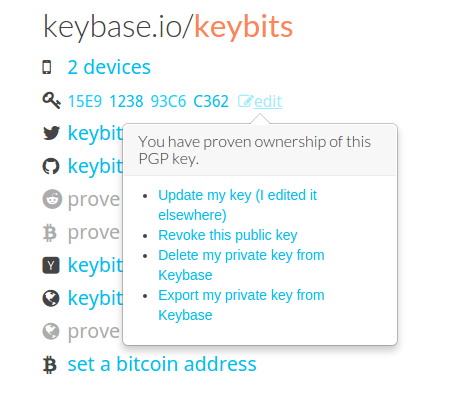 Get the keyID with gpg --list-secret-keys and make a note of the Keybase keyID. That’s it - you can now use normal GPG commands to encrypt and sign things using your Keybase key.